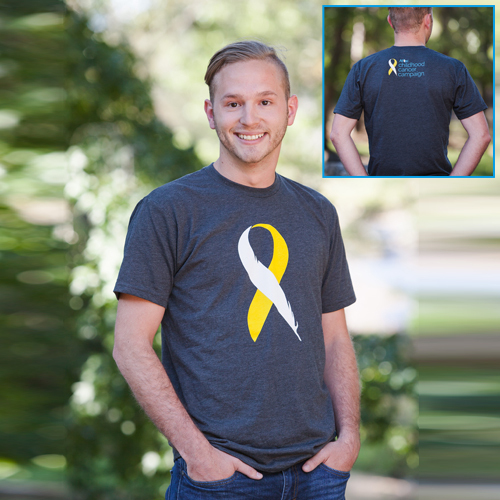 Show your true colors and support of the Aflac Childhood Cancer Campaign with this soft and fashionable t-shirt. This relaxed-fit shirt features 100% pre-shrunk, ring-spun cotton that’s been soft-washed for supple, cozy comfort. Unisex t-shirt available in adult sizes XS-3XL.